UC Rangeland’s is excited to announce Tracy Schohr as the new Livestock and Natural Resources Advisor for Butte, Plumas and Sierra Counties. Since 2012, Tracy has worked with the UC Rangelands team on multiple research and outreach projects. During this time, she earned a Master of Science in Horticulture and Agronomy from University of California, Davis. 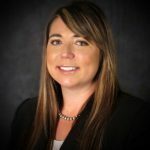 In her new role, Tracy will assist ranchers and land managers in addressing livestock production challenges and environmental concerns. She will continue to work with UC Rangelands on a number of ongoing research projects in the region focused on irrigated pasture production, livestock-predator conflicts, and multiple-use management of mountain meadows on public lands. The use of veterinary pharmaceuticals in beef cattle has led to concerns associated with potential impacts to water quality and aquatic organisms. Recent research assessed the transport of common beef cattle pharmaceuticals (oxytetracycline, chlortetracycline, and ivermectin) via surface runoff and from manure in irrigated pasture conditions. Click here to learn more. For additional information on sorption, leaching, and surface runoff of beef cattle veterinary pharmaceuticals under simulated irrigated pasture conditions click here. ATTENTION RANCHERS who are regulated under the Central Valley Irrigated Lands Waiver Program. A new tool has been created to assist you with compliance under the program. Over the past year, UC Rangelands heard directly from a number of producers with challenges to completing the required Nitrogen Management Plan (NMP) for their irrigated pasture under the Central Valley Regional Water Board preview. DJ Eastburn on our team created this app to assist irrigated pasture managers and owners to accurately and efficiently complete NMP Worksheet. This is part of UC Rangeland team’s new Irrigated Pasturelands Enhancement Program funded by Western Sustainable Agriculture Research and Education Program (WSARE) and Dept. of Water Resources. Nitrogen dynamics within irrigated pasture is unique compared to other harvested crops regulated under the program. The pasture N app is based upon research conducted within California, in collaboration with scientists at University of California, Davis, Water Board staff and irrigated pasture managers to ensure accuracy and functionality for the expected purpose. Complete your NMP today with assistance from the app by clicking here. Reminder, your NMP Worksheet needs to be kept on file at your operation. This work is supported by Western Sustainable Agriculture Research & Extension. Russell L. Rustici was a Lake County cattle rancher and philanthropist with a deep interest in cattle ranching and preservation of rangeland ecosystems. 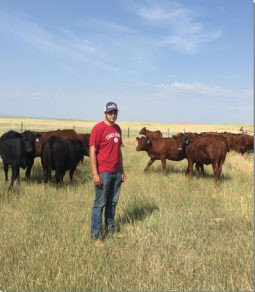 Mr. Rustici left an endowment that awarded over $1.52 million dollars in scholarships to students pursuing a career with a focus on rangeland management, with an emphasis towards cattle and sheep ranching in conjunction with good rangeland practices. In 2017, the scholarship endowment awarded $177,500 to 36 students attending 4-year and 2-year colleges. Click here to see current and past scholarship winners, including features on scholarship recipients Matthew Delbar, of Potter Valley, Calif. and Alejandro Orozco-Lopez of Galt, Calif.